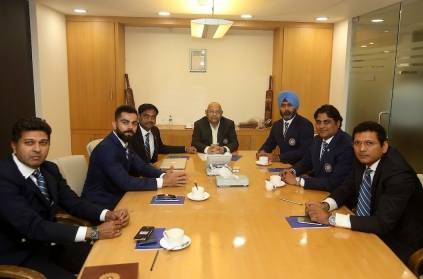 The Worldcup squad for Team India has been announced and most of the team has been picked as expected. There was just a couple of surprises with the non-selection of Ambati Rayudu and Rishabh Pant. However, a number of doubts that were revolving around the Indian team have been resolved. With regard to the question of the reserve opener, the selectors have confirmed that KL Rahul will take that position. He can also slot into the middle order later in the tournament if required. The Number 4 position has been an area of concern and a talking point for a long time. The Selectors have put an end to that discussion confirming that Vijay Shankar will start the tournament at that spot. They feel he is three dimensional in terms of his ability to bowl and his quality fielding which has tipped him over Rayudu. As far as the reserve keeper is concerned, there were two options. One was Rishabh Pant and the other was Dinesh Karthik. The selectors have said that this slot is only as a back up to MS Dhoni and they feel Dinesh Karthik, with his experience is the better wicket-keeper batsman to have if they have to come up in a crucial match. Another taking point was the option to either pick an extra pace bowler apart from the Bhuvneshwar Kumar, Bumrah and Shami. But the selectors have gone for the spin bowling option in Jadeja. They feel there is enough bowling options with Bumrah, Bhuvneshwar, Shami, Hardik, and Shankar for pace. This squad definitely is a very well balanced one and hopefully good enough to win the trophy this year. This page contains news relating to various facts and events. The views are generally about current affiars and general topics in diversified areas such as political, international, national, and regional issues, sports, health, travel, lifestyle, technology and business. People having similar interets on the above topics will find this page useful. Selectors about the worldcup squad for India | Sports News.